Given all the excitement of the 2016 NBA Playoffs, we suspect that the attention of most basketball fans is still firmly fixed on the just-concluded postseason. That’s totally understandable, but it would be silly to ignore the shifting plates that will define the NBA landscape for seasons to come. Some teams on the sidelines are scrambling to find their next head coach, and all of them are looking ahead to the NBA draft, which is is right around the corner. And that’s before you realize that everyone’s trying to guess where the next wave of potential superstars will land. As you can see, this is a pretty full plate we have here. The way we see it, the overarching theme of this time of year in the National Basketball Association is change. And for those players currently suiting up in the league, this motif will have a strong effect on their futures as well. Particularly those individuals — the best of the best — who can opt out of their contracts and become free agents. One of these players is none other than Houston’s Dwight Howard, who will indeed enter free agency. 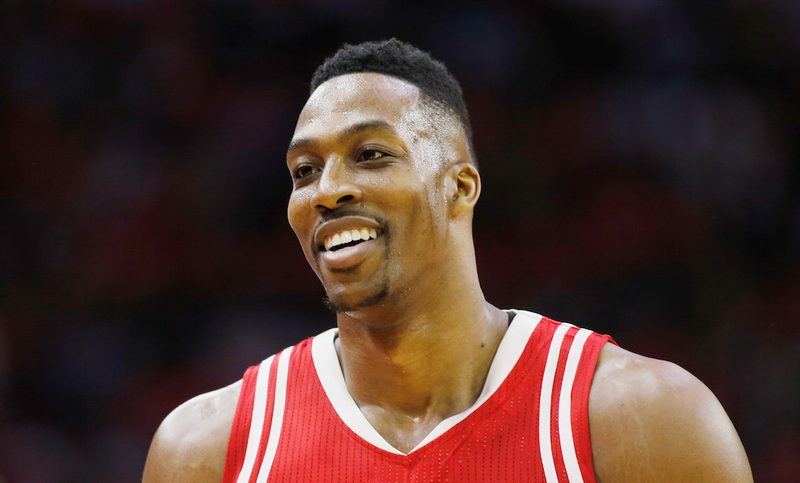 Given the overwhelming public drama associated with the Rockets this season — coupled with the center’s undeniable tension with superstar shooting guard James Harden — it’s safe to assume that D12, who had a 2016 player option with Houston, will play with another team come the 2016–17 season. And that is a good thing. Howard is in desperate need of a fresh start. Yet, as crazy as it may sound, we think the perfect place for the eight-time All-Star to start over is with a team he’s already played for: the Los Angeles Lakers. You laugh. We get it. Howard’s last Hollywood venture was far from sunshine and roses. His work ethic — or lack thereof — caused tension between him and the Mamba, and Howard never gave the impression that he had any interest in adding his name to the long list of historically great Lakers centers. This sort of apathy does not sit well with a fan base that believes it’s this organization’s manifest destiny to win titles and add banners to the rafters. 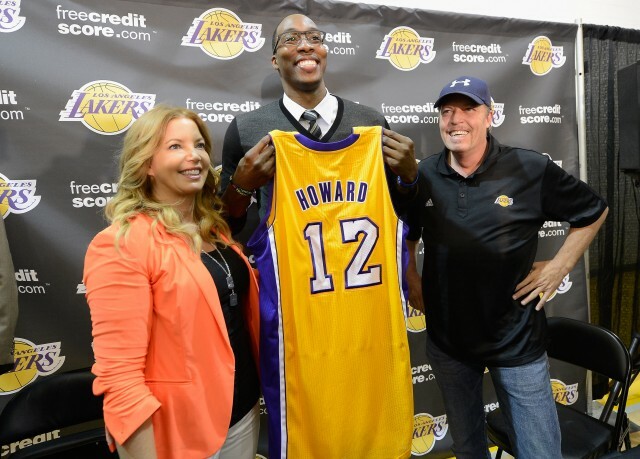 Howard simply wasn’t prepared to be the player this team needed. But that particular Lakers team is gone. And that changes everything. Kobe Bryant is arguably the greatest player to ever sport the purple and gold. But just because he and Howard were never able to co-exist doesn’t mean the center wasn’t the right fit for Los Angeles. With Bryant calling it a career, the Lakers now find themselves flush with talented youth — Julius Randle, Jordan Clarkson, and D’Angelo Russell — and no established superstar to help this group reach its potential. While you might feel that Howard is ill-equipped to handle such a responsibility, we beg to differ. And the reason is simple: Luke Walton. Although Walton has never been a full-time NBA coach before, we all saw what he was capable of while holding the interim tag for the Golden State Warriors. We don’t care how good this Dubs team is, leading anyone to a 39-4 mark deserves its proper due. By hiring Walton to be their next head coach, the Lakers showed that they are finally ready to embrace the modern game and not just rest on the supposed power of their “brand.” In Golden State, Walton learned firsthand what it takes to get the maximum out of players individually, while also doing what’s in the best interest of the group as a whole. This is what he’ll bring to Los Angeles. And this is what Howard desperately needs. Coming off of a back surgery, Howard still managed to put up 17.1 points and a league-leading 12.4 rebounds per game during his stint with the Lakers. But he was never going to be the guy. That position was filled. 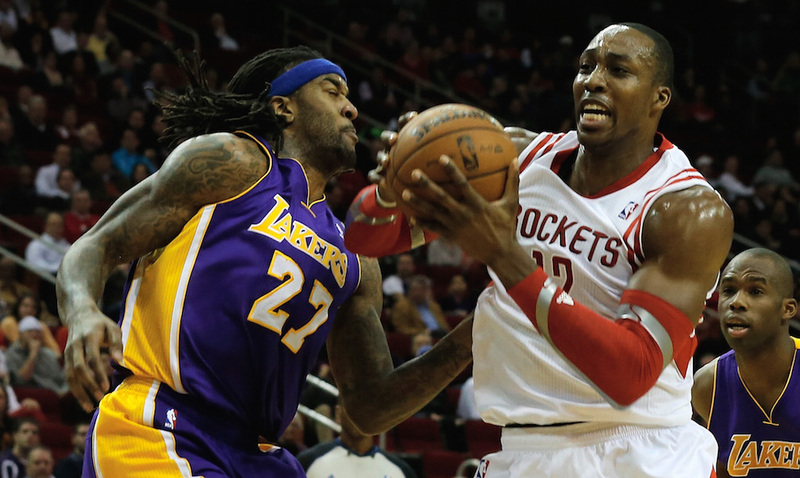 During his time in Houston, D12 has come across the same issue. Perhaps it’s time that he stops feeling the need to be the guy, and embrace being one of the guys. With a youthful roster and a forward-thinking new head coach, the Lakers provide this opportunity. Howard’s story can still have a Hollywood ending. He just needs to rewrite the script.